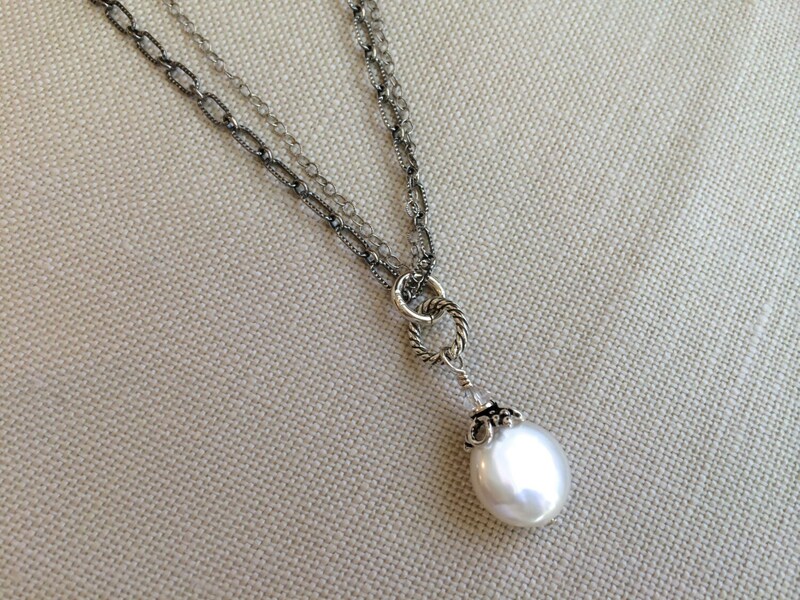 A smooth and creamy freshwater coin pearl takes center stage on this double chain necklace. 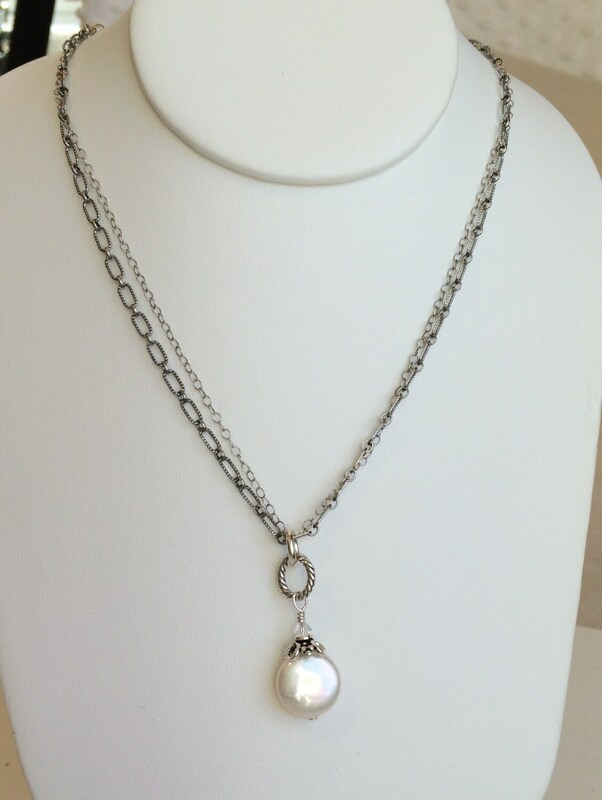 Made of Bali silver, this necklace hangs 17" with an inch extender. 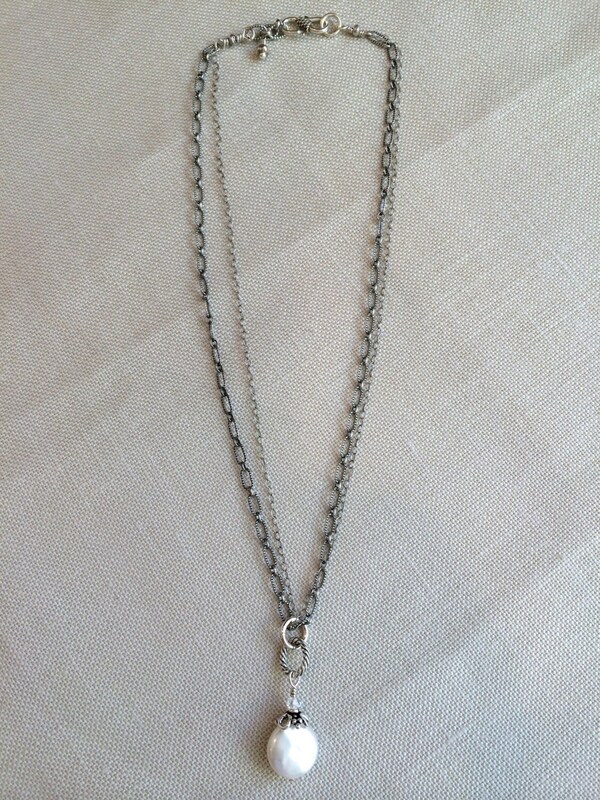 On a solid silver swivel lobster clasp to prevent twisting. 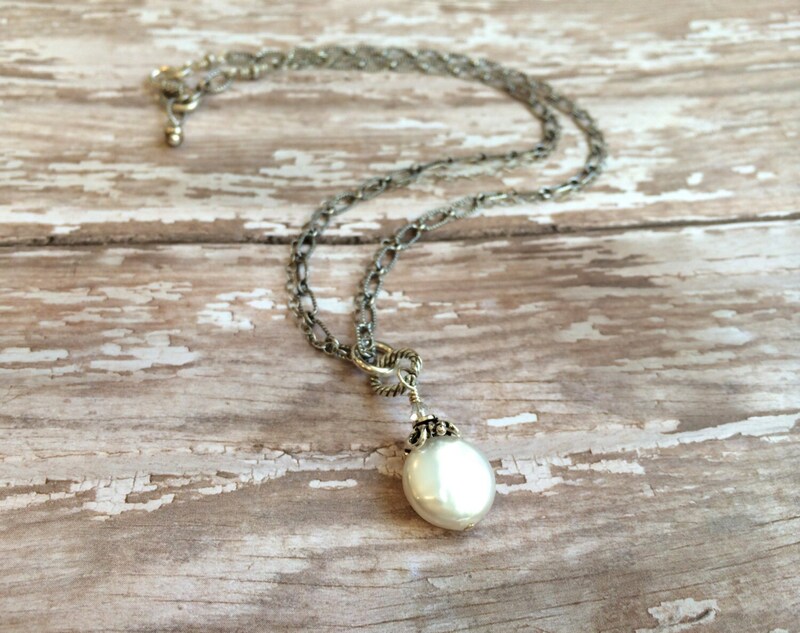 The coin pearl measures 12 mm and hangs down from an oxidized decorative jump ring. 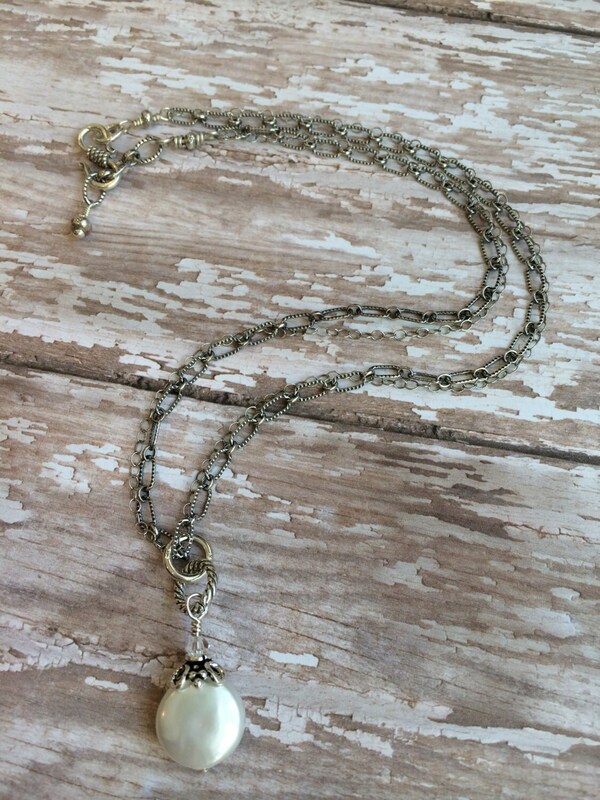 A beautiful necklace to dress up or down.